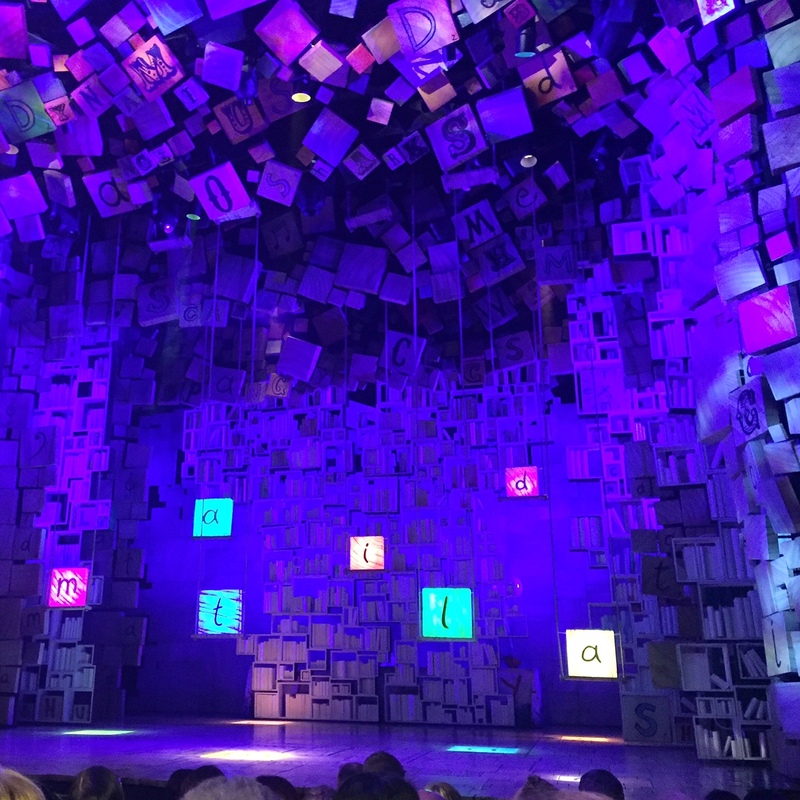 Last Thursday, Stew and I had the fantastic opportunity of watching Matilda the Musical at the Cambridge Theatre, in London. It was a truly mesmerising evening. Only ever having seen one musical before this, I was extremely excited. A few friends of mine had previously seen it, and told me I would love it. And we really did! The entire cast were incredible. It was the children’s first evening performing, but you really couldn’t tell. They were each fantastic and very professional. It blew my mind how they can do it all – act, sing, dance! The set itself was very entertaining too, with lots of moving objects and swings hanging from the ceiling. It was a lot of fun! 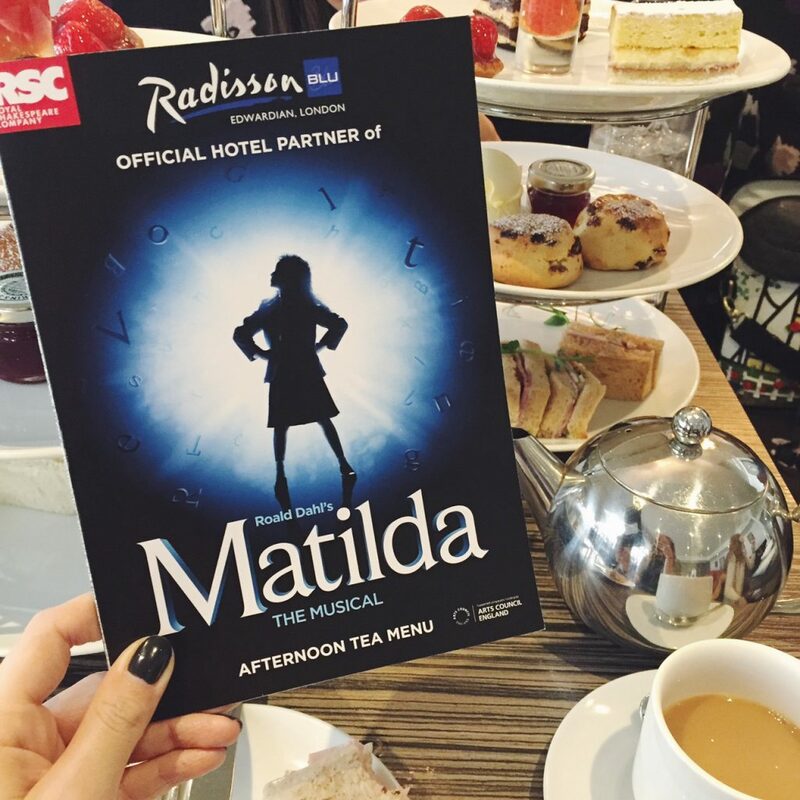 To accompany this fabulous evening, we were also treated to a Matilda themed afternoon tea at the Radisson Blu. Stew wasn’t so keen on this part of the outing, so I took Katy along a couple of weekends ago. 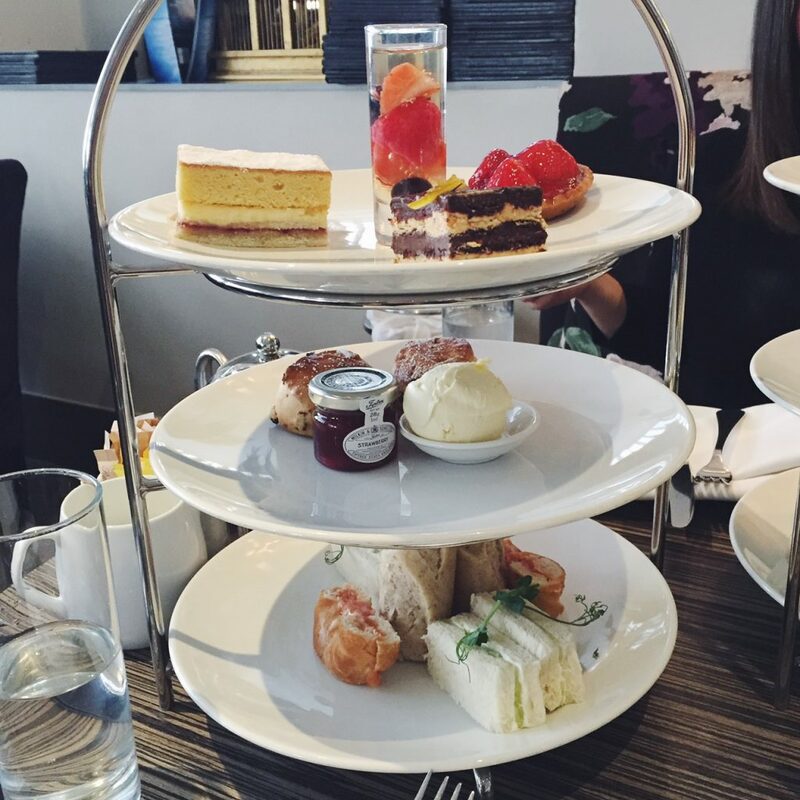 The tea itself was a mix of traditional afternoon tea, such as smoked salmon bagels, cucumber sandwiches, and of course (my favourite part) scones with jam and clotted cream! 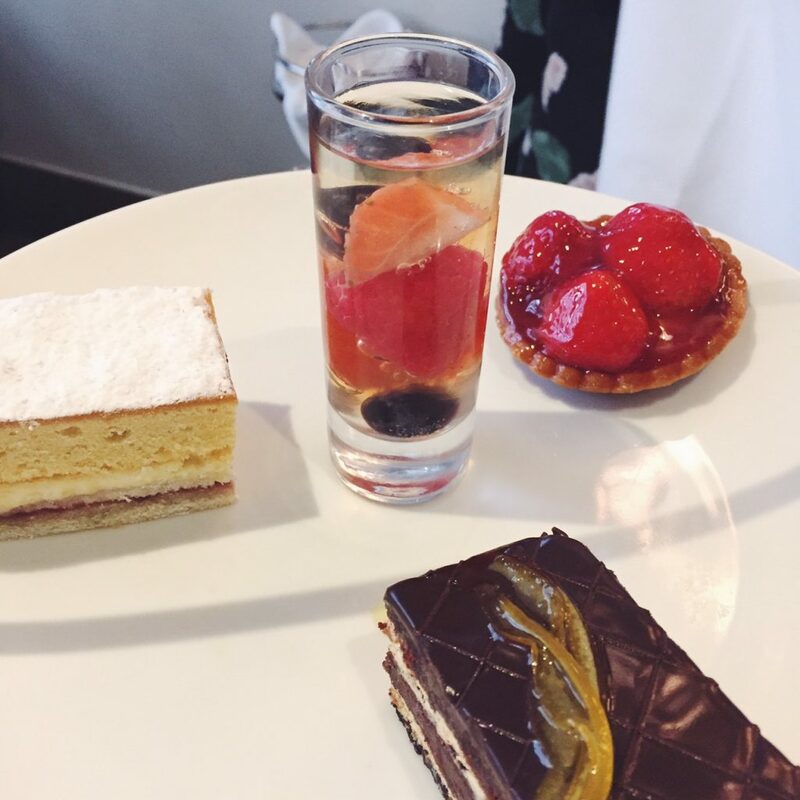 There were extra additions though like the elderflower and prosecco jelly shots, which were heavenly (if a little strong!). All in all, the whole experience was amazing. 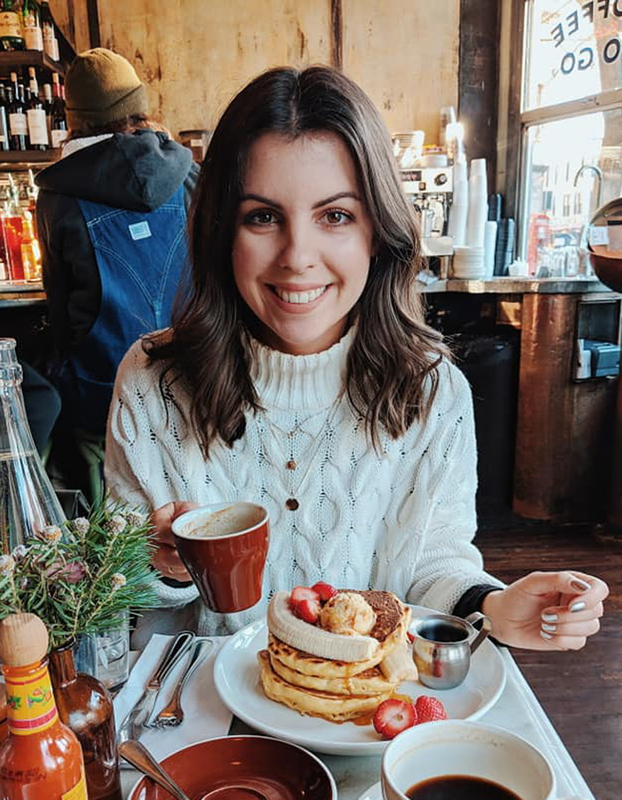 Something I feel very grateful that I was able to do through my blog. Living in London sure does have it’s perks!